Greetings, prospective members! And a particular warm welcome to the sparkling new class of 2016! Even though it’s still summer, we here at the Yale Slavic Chorus are always thinking about the dissonant harmonies of our music. 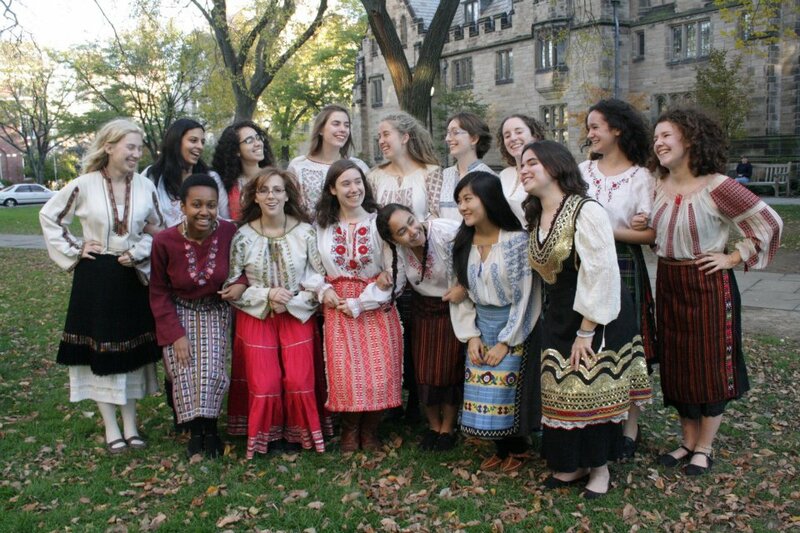 We find ourselves walking in uneven rhythmic patterns, turning our iPods to the sweet sounds of Kitka, and gathering in small groupings of Slavs all over these United States to sing together. Are you interested in joining our ranks? If so, you should know we’ll be posting more information about the alternative a cappella groups audition concert and our audition times and audition process in mid-August. We can’t wait to meet all of you, and we look forward to singing together! We’re just beginning to make preparations for another fantastic Slavs season. Also check us out the next night at the Freshmen Night of the Arts, Friday, August 31st, 7:30-10:00 pm! Make sure to check us out at the Activities Bazaar, Sunday, Sept. 2nd! WE CAN’T WAIT TO MEET YOU ONCE WE’RE ALL BACK ON CAMPUS!